As Logan escapes from the Experiment X facility, he takes down several guards in his path. As he exits the main building, Logan kills an Experiment X scientist by the name of Dale Rice. During the reality-changing events of “House of M,” Logan finds that he remembers his entire past, specifically facing a host of guards at the Experiment X facility as he tried to escape. The Director of the resurrected Weapon X program recounts that he received orders as a young American soldier to guard an installation that housed a joint U.S./Canadian top-secret project, Experiment X. 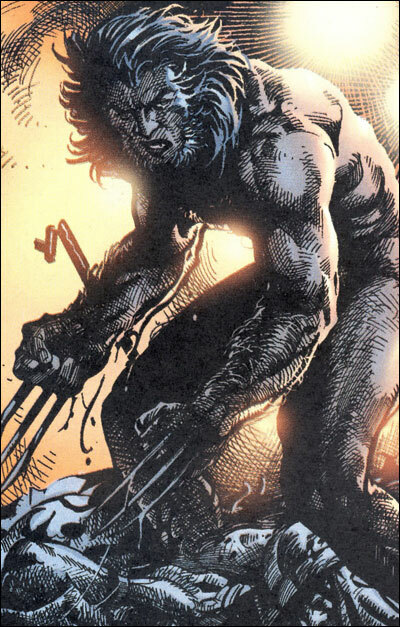 Right after Logan had finished cutting up at least 15 Experiment X guards with his claws, he tore into the young man, butchering his face beyond recognition. As Logan fled the facility, the young man lay there waiting for death, but, miraculously, survived for several hours in the bitter cold before finally receiving medical attention that saved his life, but not his face. The Director of the resurrected Weapon X program, revealed as Malcom, remembers Logan, as Weapon X, attacking him. 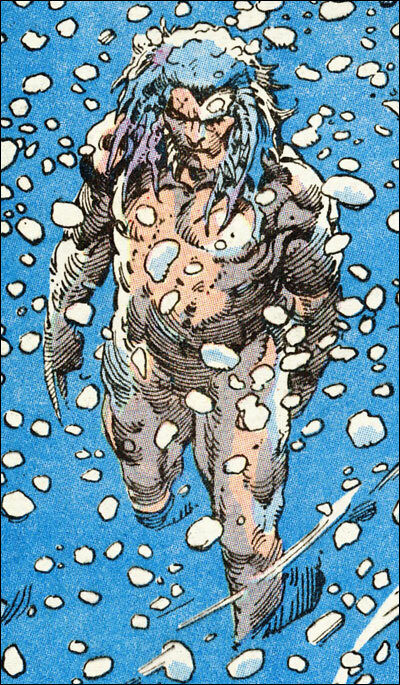 Malcolm Colcord has a nightmare of Logan quickly slashing his way through at least nine Experiment X guards in the frigid cold. Logan then turns to face the last guard between him and complete freedom, a young soldier named Malcolm. Completely naked, Logan heads deep into the Canadian wilderness, bounding through the snow-covered terrain in the bitter Canadian winter. Dr. Jaime Munoz, a molecular biologist from Alexandria, Virginia discovers ingots of adamantium in federal storage with medical records and tissue samples from mutant patients. One sample, Logan X #23, demonstrates tissue self-generation. So it seems that tissues samples from Experiment X were kept and stored by the US Federal government (and perhaps used to create X-23). A time-jumping commando team, Warheads, mistakenly ‘jumps’ into the Canadian wilderness and finds themselves face-to-face with Logan, half-crazed from the remaining Experiment X implants and wires still attached to his body. One of the Warheads commandos, Gregory, shoots him in the shoulder, but Logan barely seems phased. As the Canadian wilderness begins to dissolve under their feet, the Warheads commando team realizes that they have not jumped into the past, but instead, directly into Logan’s dreams. After escaping from Experiment X, Logan vaguely remembers finding the “Hunter in the Darkness,” a large wolf-like creature of Canada, caught in a steel bear-trap. With a spark of compassion, Logan frees the Hunter and drags the trap off, throwing off the trail of his human hunters. Caught in the moonlight, Logan is shot through the lung by a young Royal Canadian Mountie, Sgt. Doolin. Logan’s lung quickly heals and he slips away into the wilderness. In a confrontation between Hunter in the Darkness, Wolverine, Sabretooth and Lady Deathstrike, it becomes clear that Hunter remembers Logan from long ago when he freed him from a bear-trap. The Hunter in Darkness again seems to confirm these events when he calls off an attack on Logan. Logan remembers living like an animal, hunting wildlife as a source of food. Wolverine tells a woman known as Lynx that he had some good times living in the wilderness after Experiment X.
Sabretooth informs Logan that there was a female mutant, the Native, who was also experimented upon during his time as Weapon X. The Native takes Logan to a strangely familiar abandoned cabin within the Pacific Northwest. As Logan walks through the cabin, he realizes that he lived there briefly with the Native, presumably after he escaped from Experiment X. The Native confirms that Logan lived in the abandoned cabin, but Logan simply cannot fully recall the memory. Barry Windsor-Smith, Marvel Comics Presents #84.